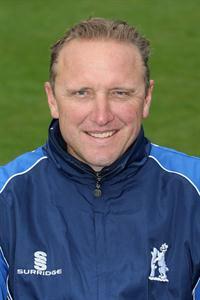 Allan Donald is a former South African cricketer and regarded as a world class fast bowler. He won number of matches for South Africa in both ODIs (One Day Internationals) and Tests. He was the first South African bowler to complete 300 wickets in Test cricket. His bowling average of 22.25 in Test and 21.78 in ODIs is among the best in the world. Allan Donald made his first International appearance in an ODI against India at Kolkata on November 10, 1991. He took 5 wicket in that match by giving away only 29 runs but still India won the match by 3 wickets. He become the third player to have a five-wicket haul in debut match in ODIs. He took nine wickets in that three match series against India. A short period after this Donald made his Test debut against West Indies team in 1992. He had a very impressive figures in the match taking 2/67 in first innings and 4/77 in the second innings of West Indies batting. By this performance he soon established himself as the main bowler of South Africa team in both Tests and ODIs. In his next series against touring Indian Team, Donald took 12 wickets in the third test played at St George's Park, Port Elizabeth. This was his first 10 wicket haul in a match. He took five wickets in India's first innings and seven wickets in the second innings. In that four match series he took a total of 20 wickets with an average of 19.70. He become a regular member of the team after this performance. In 1996/97 when India again toured South Africa he improved his record by taking 20 wickets in three match series with an impressive average of 15.95. In between this, he also have his best bowling figure in Tests against Zimbabwe where his figure were 8/71 in the second innings of Zimbabwe. In the England Tour in 1998, Donal was in his top form, when he grabbed 33 wickets in the five test series. though South Africa lost the series to England by 1-2, but Donald was the hero for South Africa in the second Test at Lord's. He took four five-wicket hauls in that series. His average in that series was 19.78 per wicket. He continues to perform well in Test after this series against West Indies. In 1999 when England toured South Africa, he took 22 wickets in four matches. He played his last test against Australia at New Wanderers Stadium, Johannesburg in 2001-02 taking only one wicket in the match. Allan Donald was also a fierce bowler in the shorter format of the game. In 1992 World Cup held in Australia he took eight wickets in in nine matches. In the semi-final match he goes for 69 runs in 10 overs taking two wickets. In 1996 World Cup, he took 8 wickets in four matches. After the World Cup, in a match against Kenya he took 6 wickets for 23 runs. This is also his best bowling performance in ODI format of the game. In his third World Cup appearance in 1999 World Cup, he took 14 wickets in nine matches. Donald was also the part of the South African Team in 2003 World Cup held in South Africa. In three match he was able to take only one wicket. After this poor performance in World Cup, he decided to retire from International Cricket in 2004. At the time of his retirement, Donal was the highest wicket taker for South Africa in Test matches with 330 wickets. Later Shaun Pollack broke this record. Allan Donald with Pollack were one of the best opening bowling pair in the world at that time. Allan Donald started his first-class career in 1985-86 playing for Free State Team. In 1987, he joined Warwickshire County Team. He played 141 matches for Warwickshire and took 536 wickets. In 2002 he played one match for Worcestershire and took 5 wickets in that match. He has took over 1000 wickets in first-class cricket.